As any other city with a long history like Madrid, there are people who have influenced decisively to become what it is today. We tell you who were some of them. It was born in the ancient Mayrit, founded by the Arabs. Between wars of religion, Isidro preached peace between them. Little by little this farmer was adored by the locals. It is known that he was a dowser in search of wells. He married María de la Cabeza and they had a son called Illán. Different miracles performed by the Saint are counted; the most famous notes how he rescued his son from the depths of a well thanks to his prayers. The great genius of literature was born with significant deformities in the feet and a strong myopia. His rich family provided him with an excellent education and was able to study at the Universities of Alcalá de Henares and Valladolid. During his passage through them was born his famous enmity with the also writer Luis de Góngora, who came to refer to Quevedo as “protodiablo”. The fondness of the writer for taverns was well known, and there are many accounts of his adventures in them. Once, when coming out in defense of a lady, Quevedo challenged the offender in a duel. Francisco won the duel, which was held in Plaza de las Descalzas and where there is a plaque commemorating the event. Quevedo excelled in several literary genres, especially in picaresque and satire. However, by political vicissitudes, he ended up in jail. Whoever has been in Madrid surely, even without knowing it, has admired some of his works. Pedro de Ribera was self-taught. Later he was a disciple of Ardemans and Churriguera. He was also a great seducer, as evidenced by his many romances. Finally he joined the army as a carpenter and there he enhanced his architectural career. King Felipe V intended to overturn the architectural style of Madrid and noticed Ribera. A success that produced buildings such as the Chapel of the Virgin of the Port, the Bridge of Toledo, the Church of San Cayetano, the facade of the Monte de Piedad… Thus, his legacy work continues to give splendor to Madrid of the XXIst century. He came to the throne by chance, since his brothers Luis I and Fernando VI died. He was ruling Spanish possessions in Italy, when he received the warning that he should go to Spain to occupy the throne. 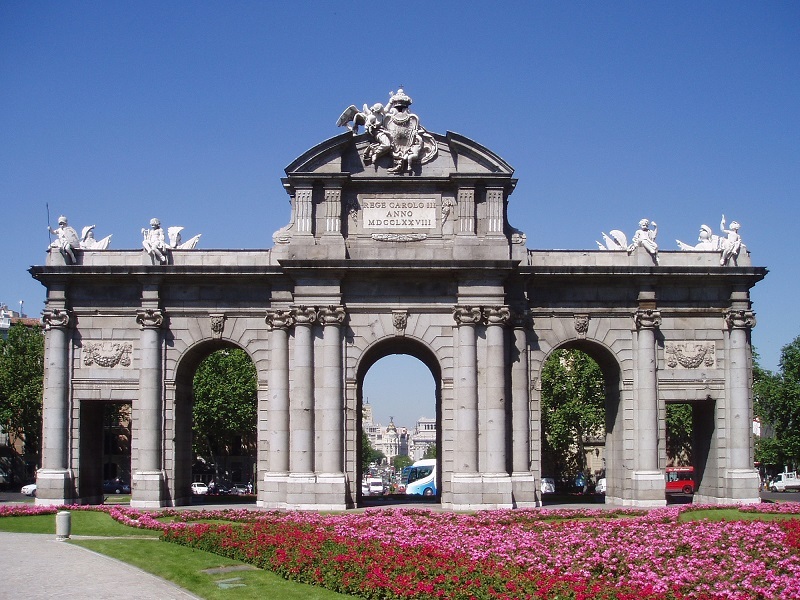 Friendly, austere and extremely cultured, he endowed the city of Madrid with important institutions such as the Astronomical Observatory, the Prado Museum or the botanical garden, as well as important monuments such as La Cibeles, Neptuno and, of course, the famous Puerta de Alcalá. For this reasons, Carlos III is known as “the best mayor of Madrid”. Sure that all these characters had been customers of El Anciano Rey.